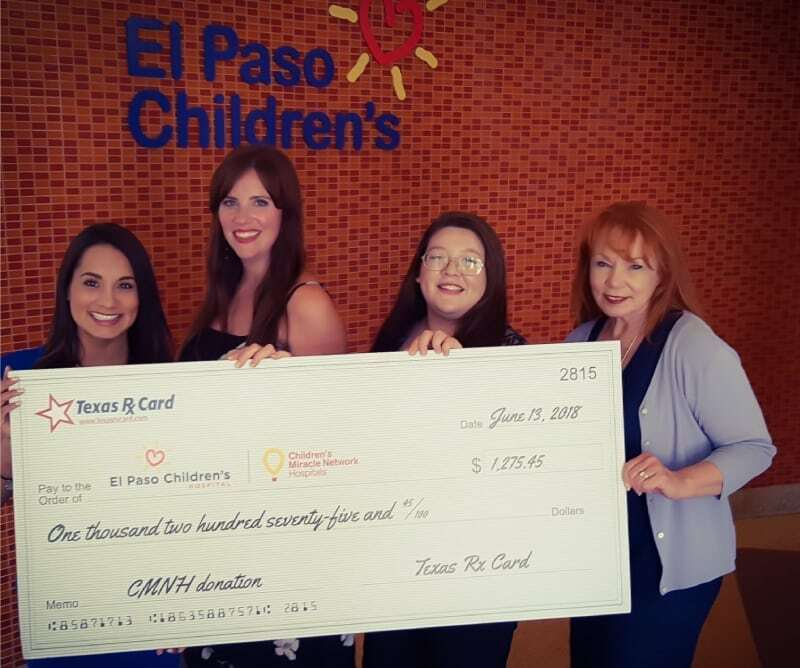 On June 13, 2018 Courtney Knox and Kristina Garcia, Texas Rx Card Representatives, presented a check to El Paso Children’s Hospital. Dennece Knight, Executive Director, and Alexa Velazquez, CMN Program Manager, were pleased to receive the check donation in the amount of $1,275.45. After the presentation, Courtney & Kristina were given a tour of the hospital by Dennece & Alexa including the NICU, library and the Enchanted Forest playroom. Courtney & Kristina discussed collaborating more closely over the upcoming months in order to raise awareness of the Texas Rx Card and its CMN relationship. A donation will be made to your local CMN hospital each time a prescription is processed through Texas Rx Card. Since 2015, the United Networks of America partnership with Children’s Miracle Network Hospitals has raised over $2.4 million dollars for local children’s hospitals. Of this, $1,275.45 has been raised for El Paso Children’s Hospital.